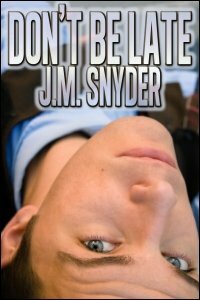 This week I published a new gay romantic short story called Don’t Be Late. Who says marriage is bliss? Blake and Jeremy had more time to spend together when they were dating than they do now as man and husband. Working long hours keep them apart, and their schedules rarely sync during the week. They can’t even make love except on the weekends — no time. When did life get so damn busy?